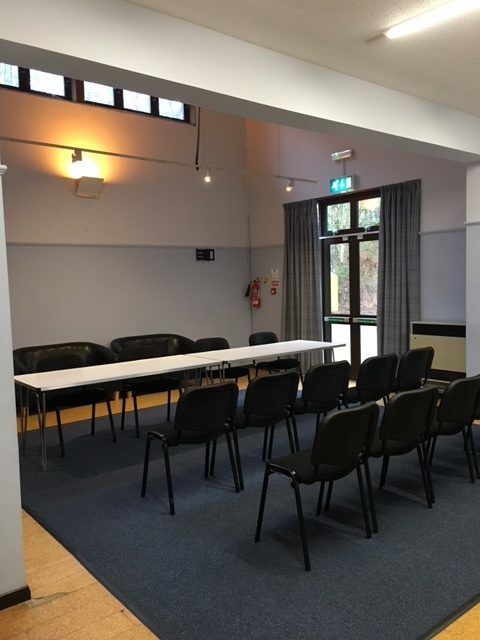 The Atkinson room is a welcoming and comfortable meeting room environment, which is also perfect for small groups, such as small children’s parties, baby groups and craft clubs. 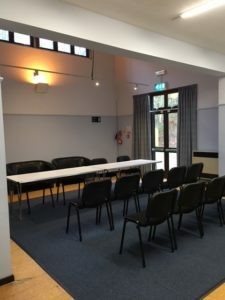 The room is carpeted and can be set up with tables and chairs to accommodate your needs. It also has the benefit of two separate toilets directly across the corridor and direct access to the car park and playing fields. Located opposite the stage entrance, it is an ideal ‘green room’ and changing area for performers. If you would like to be able to make hot or cold food and drinks you can also hire out the kitchen in addition to any of our rooms here at the Fieldgate. The room measures 19′ x 22′ and can seat 40.